Built in the late 1930s and near the end of the Great Depression, Tomahawk CC was one of the first golf courses designed by the great golf course architect Lawrence Hughes. Other courses of Hughes include Orange Tree Golf Resort in Scottsdale, Desert Inn Golf Club in Las Vegas and Paradise Valley Country Club in Paradise Valley. Hughes, who died in 1975, was one of the most well-respected golf course architects of his time. In its near 70-year history, Tomahawk CC has stayed relatively the same, sans a few new tee boxes and a few less trees, courtesy of a disgruntled member with a nasty slice. Legend has it that many years back, a member with a nasty slice decided the course would better suit his game if some of the fairways were a little bit more wide open. So, he did what any rational golfer would never do, he ventured out with a chainsaw and a vendetta and cut down numerous trees that had proven to be a problem over the years. This is particularly evident on the par-4 second which used to have a small hillside of tall trees. Now all that remains is a desolate slope with some younger trees that were recently planted. Needless to say, said golfer is no longer welcome on the course. 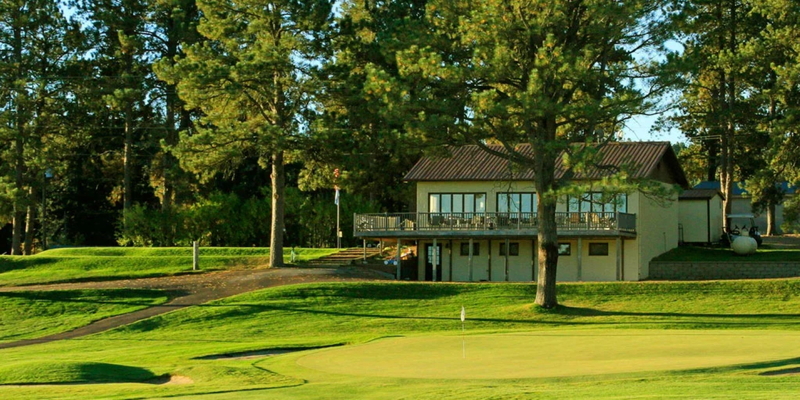 In addition to great golf, Tomahawk CC also has the distinction of being on the National Register of Historic Places. The National Register of Historic Places is the official list of the Nation's historic places worthy of preservation. Authorized by the National Historic Preservation Act of 1966, the National Park Service's National Register of Historic Places is part of a national program to coordinate and support public and private efforts to identify, evaluate, and protect America's historic and archeological resource. Please call 605-578-9979 for current rates. Call 605-578-9979 for rates and tee times. Contact Tomahawk Country Club at 605-578-9979 for more information and details on holding a golf outing at the course. Contact Tomahawk Country Club at 605-578-9979. Contact Tomahawk Country Club at 605-578-9979 for onsite or nearby dining options. This profile was last updated on 08/27/2014 and has been viewed 7,812 times.